Who doesn't love peanut butter and banana together? Especially when it comes in a donut form! Mix all ingredients and divide batter into 12 mini donut holes. Bake at 350F for 15-18 minutes. 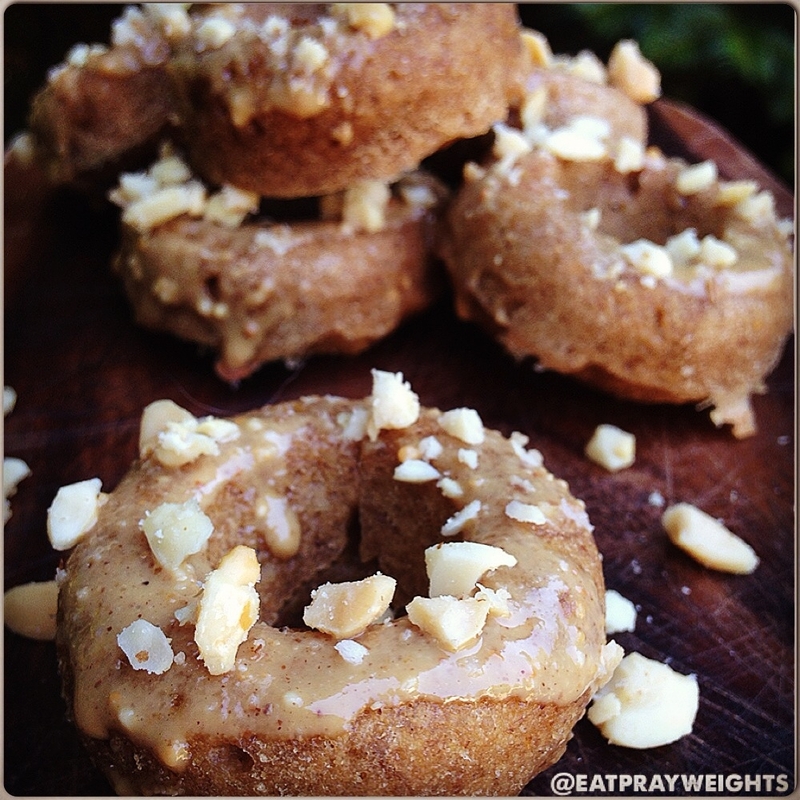 Top with melted peanut butter and crushed peanuts.